According to Autonews.com: "BMW Group and Toyota Motor Corp. may expand their cooperation to include the joint development of a new addition to BMW's Mini range, a German auto magazine reported. BMW is considering an entry-level car for Mini that would be called the Mini Minor, Autobild said. Toyota could launch its own version of the model, which may be badged as the Starlet, the report said. Automobile magazine also reported on the cooperation talks between the two companies." "A Mini spokesman declined to comment on the report, telling Automotive News Europe that it was "mere speculation." If built, the Minor is expected to be smaller and less expensive than Mini's core model, the three-door hatchback. 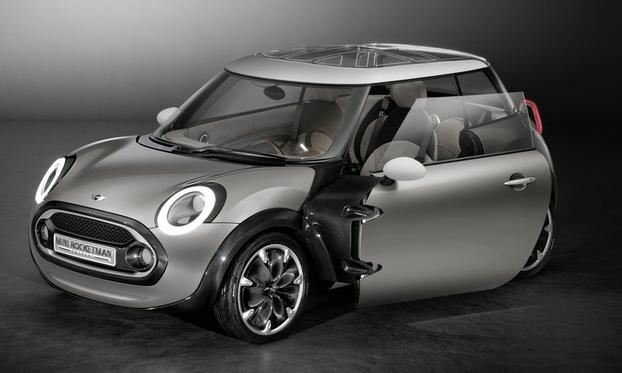 Based on the Mini Rocketman concept unveiled at the 2011 geneva auto show, the Minor will be 11-feet, 4-inches long, which is 14.5 inches shorter than the three-door hatch."